Companies are making use of 2D animated commercials to help drive sales and attract potential customers. With the help of powerful imaginary and breathtaking 2D animated designs firms are showcasing their products and services. Corporate establishments are producing creative adverts to stand out from their competitors. A 2D animated commercial is the form of 2D animation video for a business promotion of a service or product. This gives an idea for a specific company to make use of 2D animated commercials to help drive sales and attract potential customers. Catalina’s personalized digital media connects shoppers to the brands they want. They do this by delivering only the most relevant ads and offers from their home to the aisle. Catalina knows the evolving purchase history and individual needs of more than three-quarters of American shoppers. One of their 2D animated commercials highlights how Catalina’s tools helps CPG companies to deliver extraordinary results. Foursquare is a local search-and-discovery service mobile app which provides search results for its users. The app provides personalized recommendations of places to go to near a user’s current location based on user’s previous browsing history, purchases, or check-in history. 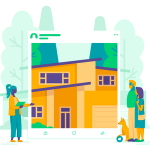 One of their 2D animated commercials highlights how the Foursquare mobile application operates to help you discover new activities in your neighbourhood. Tower Property Advisory is a specialist Melbourne based vendor advocacy service which operates nationally. They take the stress out of selling property by managing the sales process from beginning to end and are highly experienced in managing the sale of real estate. One of their 2D animated commercial highlights how Tower Property’s experts can help save you time and stress by helping you sell your property. autoDNA service is one of the largest sites in Europe and World Wide, offering vehicle history reports and other vehicle VIN checks online. autoDNA vehicle history reports provide information about used cars and their history. One of their 2D animated commercials revolves around their Affiliate Program, where one can earn by promoting autoDNA products on their website. Valtronic is a global engineering and contract manufacturing company using innovative technology to provide customized solutions for electronics dedicated to medical devices. They use advanced technology to manufacture medical devices at highest quality standards. One of their 2D animated commercials talk about how Valtronic wishes to enable their partners to improve patients quality of life through medical device innovation. Egnyte is a company that provides software for enterprise file synchronization and sharing. The technology can store files in a company’s existing data repository, as well as cloud computing storage. Teams can securely access and easily share files and folders in Egnyte Connect. One of their 2D animated commercials talks about how Egnyte provides secure enterprise file sharing and content governance built from the cloud down. Lounjee is a business matchmaking mobile service that connects you to those professionals you should know but you do not know yet. 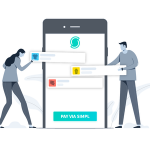 Their matching algorithm not only suggests who to connect with, but also explains the reasons to connect. One of their 2D animated commercials talks about how Lounjee’s networking application can help you to scale your business and career. Charlie Says is a free site that allows users to comment on and discuss online articles. It allows users to link similar articles together in the same topic, thus allowing a single repository for discussion. One of their 2D animated commercials illustrates how Charlie Says is a site that enables people to discuss the same topic in one place. Pioneer Energy is Ontario’s largest independent gas retailer. It allows you to pick your own perks and bonuses with your Pioneer Bonus Bucks card! Every penny earned adds up to dollars you can use at Pioneer. This is one of the 2D animated commercials made by Pioneer Energy to give the details about Bonus Bucks card. Templogger solves the daily burden of checking and recording your cold storage units. Their team has developed a complete temperature logging solution which is connected to their cloud and records temperatures on a daily basis. One of their 2D animated commercials showcases the unique features and benefits of Templogger. Geckolyst helps you take customer experience management to the next level. The Geckolyst Analytics provides powerful drag and drop analytics and visualization tools so one can get faster insights into what their customers say about the company. One of their creative adverts displays the features of Geckolyst’s easy to use tools which helps analyze customer interactions. ProCons, is an accredited SAP Gold partner and Master VAR, established in Dubai which offers professional SAP consultancy and expertise to businesses within the MENA. They provide product services like SAP Business One, SAP Cloud CRM and SAP for financial services. One of their creative adverts illustrates how they can help small businesses grow by optimizing their performance with the help of Procons efficient services. Lucerno Dynamics breakthrough system can detect, quantify, and record with high-fidelity the presence of radiolabeled biomarkers in tissue quickly, safely, and inexpensively. This technology has potential human applications in assuring the quality of PET injections. One of their creative adverts illustrates how Lucerno’s technology helps to identify patients with radiotracer injection errors. Duetto is a cloud-based hotel revenue management software and revenue strategy solutions that deliver powerful insights on pricing and demand. They provide powerful solutions that increase booking conversion, guest loyalty and revenue for hotels. One of their creative adverts illustrates how Duetto helps transform revenue strategy for hotels, enabling them to maximize revenue. AccessEasyFunds is a Canadian company dedicated to making real estate agents’ lives easier by offering affordable Commission Advances. They offer a wider array of commission advance services, with fewer restrictions, that are more in line with today’s real estate market. One of their creative adverts illustrates how AccessEasyFunds help real estate agents from all walks of life, advance their commissions. 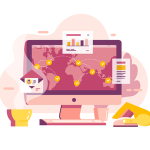 CartonCloud is an Australian-based software company that develops cloud-based transport and logistics software for small and medium-sized businesses. Their application is a time saving online logistics software that is supporting transporting and warehousing companies to become more efficient. One of their creative adverts displays how one can save time and money with the help of CartonCloud’s web application. RA Real Estate is a unique, specialist Real Estate business that provides strategic, leasing, acquisition, disposal advice on commercial property. They have the commercial real estate experts. They understands the specific requirements of each business in order to provide a unique service for each project. This is one of the best creative adverts of RA Real Estate that elaborates their commercial property solutions. Crown Matting is the pioneer manufacturer of the Vinyl backed mat. They provide more options to customize your floor mats to fit your unique environment. They offer their customers a wide selection of colors, textures, thicknesses, sizes, borders, and backing options. Crown Matting’s 2D Animated Commercial describes their industrial / commercial mats special features and qualities. The Boston Consulting Group (BCG) is a global management consulting firm and the world’s leading advisor on business strategy. With the help of state of the art technology and solutions they strive to set up a creative environment to create new business models for their clients. One of their creative adverts illustrates how BCG can help you win your customer journey transformation. Onlife Health is a data-driven health solutions company. Their recently launched mobile app, lets any member with a smartphone connect with their plan, improve their health, and stay inspired anytime, anywhere. One of their creative adverts showcases how Onlife’s application is designed to actively motivate its users to live healthier more productive lives. With the above 2D animated commercials, it’s evident that companies are fast integrating videos in their marketing campaigns and various other touchpoints. If you are planning to develop these videos, a good start is to develop a brief of what can be the tone and style for your videos. We advise you to be different and unique while you create your messaging through the videos.